PEER Project creates prevention and education related activities to eliminate stigma associated with mental health issues and reduce student suicide. We aim to increase awareness, promote wellness and acceptance, and empower students to help them find relief. 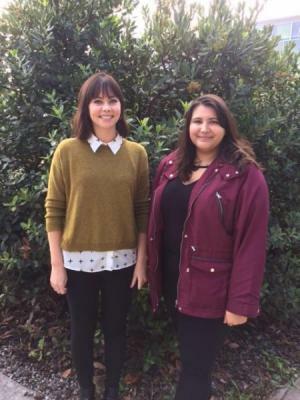 PEER Project interns are Master of Social Work (MSW) students who are trained to facilitate workshops on mental wellness and suicide prevention. PEER Project is sustained through a Student Mental Health Partnership with representatives from Stanislaus County Behavioral Health & Recovery Services (BHRS), Stanislaus County Office of Education (SCOE), Modesto Junior College (MJC) & Stanislaus State. Program coordination is facilitated through the HEP Office, and intern oversite and supervision is provided by MSW Faculty Jen Johnson, LCSW. QPR is a 1.5 hour certificate training. QPR teaches people about suicide prevention by focusing on common causes, warning signs, and how to get help for someone in crisis. Students will learn mind-body tools to quickly and easily strengthen and stabilize the mind-body systems by easily tapping into inner resources of strength that support meaning, purpose, motivation and a sense of safety with Somatic Mindful Guided Imagery. Students will learn to use mindfulness to clear away inner obstacles to comfort, confidence and clarity. This is an 8-hour course that teaches you how to identify, understand, and respond to signs of mental illnesses and substance use disorders. Students will learn mind-body techniques for self-exploration, self-awareness, and self-care that relieve pain, anxiety and stress, while enhancing resilience to external stressors, and support the healing response, empathy, intuition and self-compassion.